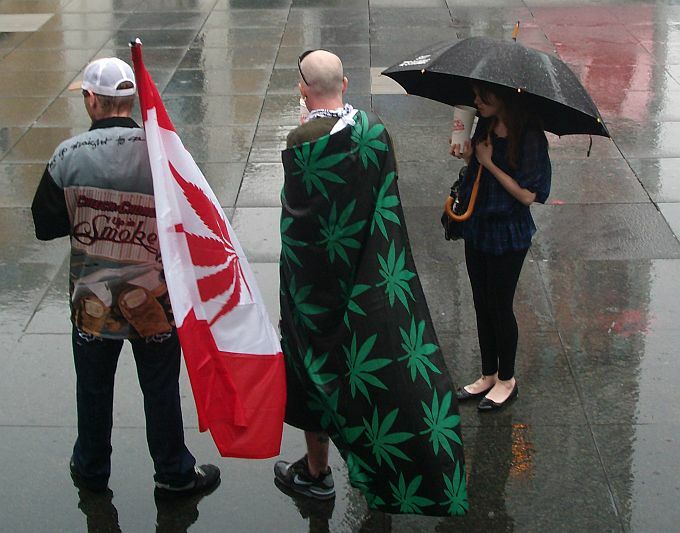 Fortress Of Freedom Board :: View topic - Pot Protest During the G20! 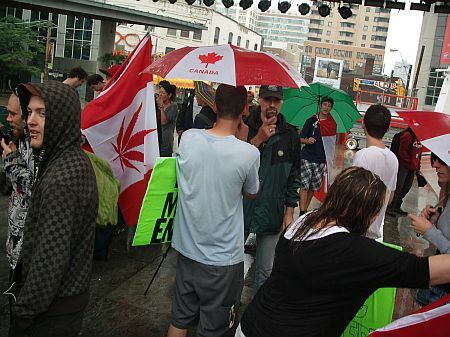 Posted: Sun Jun 27, 2010 7:40 am Post subject: Pot Protest During the G20! 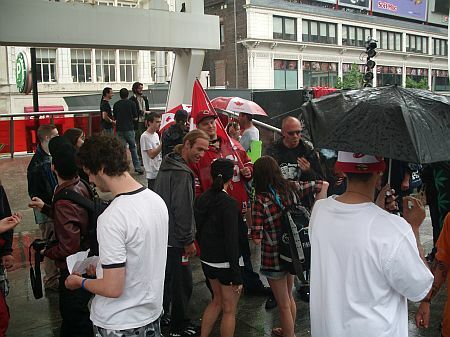 Toronto, Canada - June 26, 2010: About thirty canibus smokers converged upon Yonge-Dundas square to rally and march promoting their cause of legalized marijuana use. We happened upon this protest as a "target of opportunity" as we headed to the large labor protest at Queen's Park. "The G-20 is an absolute waste of money, where very little is ever actually accomplished. 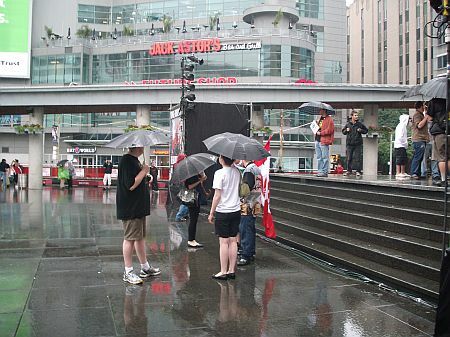 A cursory glance at the security setup shows that protesters will be neither seen nor heard" said Jacob Hunter, G-420 organizer, "We are here to bring our message to the people of Toronto, that the drug war, despite $1 Trillion dollars spent, has actually increased drug availability, while enriching ever more violent organized criminals. 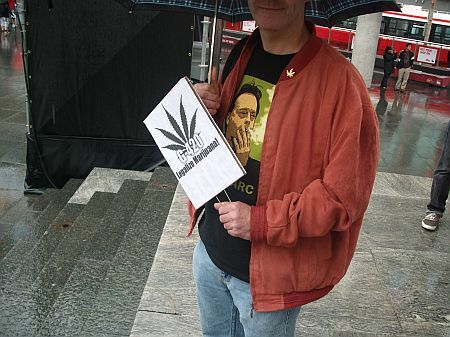 On g420.org (a pot advocacy organization) the organizers also suggested free pot my be distributed at the event: "There's even a rumor that Ganja Clause has come from Vancouver to hand our free marijuana!" Like I said this was "drive through" reporting and we had only enough time for some shots before we headed over to the larger labor protest.